Sunday, the first full weekend of games are being played in the NFL. After the Packers and Saints opened the season on Thursday, the rest of the teams are suiting up. It just so happens that the first Sunday of the season coincides with the 10th anniversary of 9/11. The NFL is holding a tribute to the men and women who lost their lives and those who fought to save lives on that day ten years ago. Teams throughout the league are honoring the heroes of that tragic time in American history. On the football field, today begins to answer some of the big questions of the season. 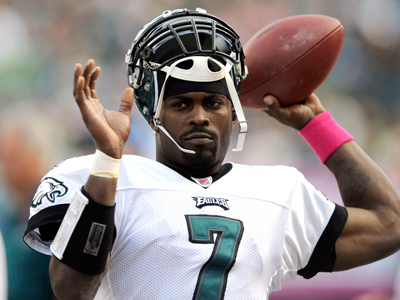 In Philadelphia, Michael Vick is looking to prove he is worth the hundred million dollars as he begins his journey to bring the Eagles to the Super Bowl this season. However, on the other side of the ball Sam Bradford is looking to lead the Rams into being an elite team once again. The Lions and Buccaneers are facing off as two teams who are both on the cusp of becoming major squadrons in the league soon. The Colts face the Texans in their first game in well over a decade without Peyton Manning. Chris Johnson, the Young Money Athlete, is looking to lead the Titans to a big win and prove he is worth the big money he just got. The Steelers and the Ravens face off in the battle of two of the best defenses in the game. Cam Newton is going to lead the Panthers in his first career start. And Donovan McNabb is going to try his hand at a comeback as he starts his first game as a Minnesota Viking. And to close the night, the Cowboys and the Jets go head to head in the game of the week as the Jets look to win another Super Bowl this year and the Cowboys are fighting just to stay relevant.